"The thing to look for in the sheep head is mass. The really great ram appears to be all horns. He looks top heavy." It was a late winter day in the shadow of the Rocky Mountains, one that surely would have brought a smile to the late and legendary sheep hunter and former Petersen's Hunting executive editor Jack O'Connor. And who knows, maybe the spirit of old Jack was there somewhere at the Wild Sheep Foundation (www.wildsheepfoundation.org) headquarters in Bozeman, Mont., tucked away unseen in a corner with a bespectacled grin spreading across his face as he surveyed a bighorn ram for the ages. The reason for a smile, from O'Connor or from anyone else who was present, was the declaration of a new Boone and Crockett Club (www.boone-crockett.org) world record bighorn ram, a massive sheep from Montana's Wild Horse Island State Park. As O'Connor wrote in his classic 1974 book, Sheep and Sheep Hunting, this ram was all horns and then some. When the four-member special judges panel of senior B &C official measurers were finished rescoring the ram's horns (it was initially scored on Feb. 9, 2018), the score of 216 3/8 inches was confirmed and the new world's record status was declared. "This ram is significant for many reasons," said Justin Spring, B&C's director of Big Game Records, in a news release. "One of many things worth noting is that since the Club's current scoring system was adopted in 1950, this is only the fifth world's record bighorn, and three of these have been declared since just 2001. "If anything, we're now seeing what nature and sound wildlife management are capable of producing in the wild." That seems especially true in Montana, which along with the Canadian province of Alberta, has a stranglehold on the "Top 10" bighorn rams listed in the B&C book. "On one hand, what a mighty animal," said Montana Gov. Steve Bullock to a crowd of 75 or so onlookers. "But it's so much more. It's about what we have in Montana. This celebration is not just about a great ram. It's about the ethics and ethos of all Montanans. "This is truly a Montana conservation success story," he also added. Gray Thornton, the longtime president and CEO of the Bozeman-based wild sheep conservation organization, agreed. "Wild Sheep Foundation is honored to host the panel certification of this world's record bighorn and this momentous announcement from our governor that Montana, the 'Land of the Giants' is home to the largest bighorn sheep known," said Thornton. And now, nowhere is that more apparent than Wild Horse Island State Park, home to the biggest bighorn ram of all-time. According to B&C, the nine-year-old ram lived its entire life on Wild Horse Island, a 2,160-acre state park located in northwestern Montana at Flathead Lake. Found dead of natural causes by Montana Fish, Wildlife & Parks (//fwp.mt.gov) officials in the fall of 2016, the ram enters the B&C record book as a pick-up entry on behalf of the citizens of the state. "This is the people of Montana's ram," said Thornton, who announced plans for WSF to have the new benchmark bighorn mounted in full life-size form and placed on display in the Montana state capitol building. "Montana owns it." By nearly any measure, the ram is massive and long with horn lengths of 48 3/8 and 49 6/8 inches; circumferences at the bases of 16 3/8 and 16 4/8 inches; and fourth quarter circumferences of 11 2/8 and 11 4/8 inches. "The mass is incredible," said Kyle Lehr, assistant director of Big Game Records for B&C. "I was in awe when I first saw it in person. I had seen pictures of it, but there is no way that they did it justice. To have such a massive bighorn with horn lengths of nearly 50 inches is just unreal. I can't imagine the neck that ram must have had to carry those horns around." Lehr's boss echoed those sentiments. "This ram doesn't have the longest horns on record, or the largest bases, but the mass of his horns carried over the entire length of nearly 50-inch horns is what makes this ram the largest we've seen by a significant margin," said Spring, who took over his B&C duties from the retired Jack Reneau last summer. "The last three world's record rams have been 208 1/8, 208 3/8, 209 4/8 and now 216 3/8 (inches). That's a jump we just never expected to see." For what it's worth, one of those previous world record scores mentioned above appears to have been matched recently by a bighorn ram taken by a hunter in Montana's rugged Missouri Breaks region. "We've just accepted, hot off the presses on Feb. 20th, the Justin D. Sheedy ram, which has an entry score of 208 3/8 inches," said Lehr. "Of course, that has to be panel scored when we have the 30th Awards Period gathering next year in Springfield, Mo." According to Lehr, the Sheedy ram, taken in Chouteau County, Montana in 2017, ties the Guinn Crousen ram taken in Alberta back in 2000, as the top bighorn ram in the record book taken by a hunter. What this means to Lehr is that the North American wildlife conservation model continues to work, just as B&C founding father Teddy Roosevelt envisioned when the organization began in 1887. "I think it all speaks to the overall health of our wildlife populations," said Lehr. "Based on the entries I see here at work, it speaks across the board to what states and provinces are doing for wildlife and wildlife conservation. 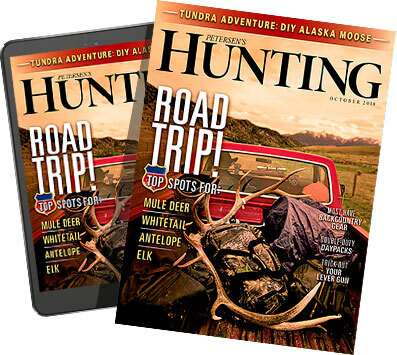 In fact, just putting in for a chance to get a license to hunt one of these animals, hunters are helping these agencies with the necessary funds that are relied upon to successfully manage these animals." Spring echoed those sentiments a few weeks ago when the ram was initially scored. "Any animal making our minimum score is a testament to great habitat but potentially the largest sheep ever is something special," he noted in a B&C news release. "It's significant to sportsmen, wildlife managers, conservationists and anyone who appreciates what nature is capable of. "The fact that this iconic species that was once on the brink of extinction exists at all is remarkable," he continued. "Combine this with the fact that today's wild sheep face ever present human encroachment, disease issues, and very specific habitat requirements, yet are thriving in much of today's West on our public lands; that is conservation in action. 'Considering we have had the three largest rams in recorded history hold the number-one spot since 2000, I would say the North American model is working." Lehr, who has only been at his post for a few short years, said it's an exciting time to work at B&C and see so many reports of top shelf animals come through. "You're in awe of the big game animals being produced," he said. "Again, the credit for that goes back to the states and provinces. I'm new to the game, I admit that, but it's an incredible time to work here and see some of the animals come across my desk. While there are obvious concerns — including at Wild Horse Island State Park, where Lehr notes that state biologists are fighting invasive plants that threaten animals and the ecosystem — there are plenty of bright spots worthy of a smile. Maybe even a big grin from the old sheep hunter himself, the late Jack O'Connor. "It's a pretty incredible time to be a sheep hunter," said Lehr. "It's exciting to see things get to this level."